SFCCC recognizes that our work is interdependent on several groups, and that we benefit from the collective wisdom and knowledge of our many partnerships. SFCCC is actively involved in long-standing collaborations with multiple provider and community partners that focus on improving the health status of San Franciscans and their communities. Kaiser Permanente Community Benefit, Northern California, has funded SFCCC for several years to implement its PHASE program (Preventing Heart Attacks and Strokes Every day). PHASE is Kaiser Permanente’s successful program of reducing cardiovascular risk in its members, primarily by improving the treatment of diabetes and high blood pressure, the two most common risk factors for heart attacks and strokes. PHASE emphasizes population management (strategies that look at the entire population of patients at risk for heart attacks and strokes, in addition to strategies that are focused on individual patients), medication protocols for hypertension and diabetes that are relatively easy to follow, and other evidence-based interventions that have been shown to improve outcomes for patients with diabetes and high blood pressure. SFCCC partner health centers have collectively achieved levels of high blood pressure and diabetes control which exceed Healthy People 2020 goals, goals that are used by the federal government to measure outcomes for a number of medical conditions. SFCCC is a member of the National Association of Community Health Centers (NACHC). NACHC and its members serve as the leading national advocacy organization in support of community-based health centers and the expansion of health care access for the medically underserved and uninsured. SFCCC participates in, and provides input into NACHC’s research and analysis, informing both the public and private sectors about the work of health centers, their value to the American health care system and the overall health of the nation’s people and communities – both in terms of costs and health care outcomes. 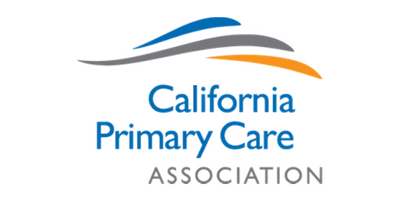 SFCCC partners with the California Primary Care Association (CPCA) to inform and educate state elected officials on issues important to community health centers and the patients we serve. SFCCC comments on pending administrative guidance, the introduction of new bills, and regularly visits elected officials to foster communication regarding current issues before the legislature. Almost all SFCCC member health centers send patients to Zuckerberg San Francisco General Hospital, formerly San Francisco General Hospital, for services not available in the Health Centers, including the Emergency Department, inpatient services for patients who require admission to the hospital, urgent care at night and on weekends, specialty clinics such as Cardiology, clinical laboratory for blood tests, radiology for x-rays and scans, physical therapy, and a number of other services. ZSFG doctors and staff have long collaborated with SFCCC member health centers to improve the care of their numerous shared patients. An SFCCC initiative recently resulted in the Daily Transition Report, a report which allows SFCCC member health centers to see on a daily basis which of their patients have been admitted to the ZSFG inpatient hospital or seen in the ZSFG emergency department, and urgent care center, thus allowing the health centers to better coordinate the transition of care from ZSFG back to the primary care provider at the health center. 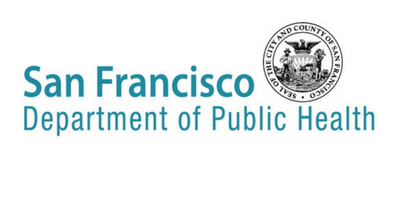 The San Francisco Department of Public Health owns and operates the SFHN (San Francisco Health Network), its health care delivery system that includes ZSFG, Laguna Honda Hospital for rehab and long-term care, community-based Primary Care clinics, Behavioral Health (mental health and substance abuse services), Jail Health, and other clinical services. It also operates the Population Health Division, which provides public health services such as communicable disease control and vital statistics. SFCCC has collaborated with DPH for many years to improve the care provided in the San Francisco safety net, of which SFHN and SFCCC are the 2 major components; that collaboration currently is at the highest levels. Many SFCCC health center patients utilize the services operated by DPH. Several DPH/SFHN clinics receive funding and other benefits from SFCCC through its Health Care for the Homeless and Ryan White HIV federal grants. The University of California, San Francisco operates the UCSF School of Medicine, School of Nursing, School of Dentistry, and other medical professional schools at its Parnassus and Mission Bay campuses. 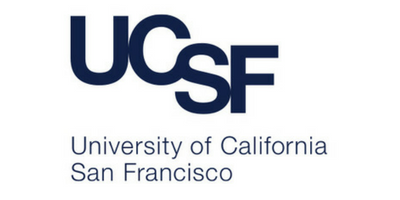 UCSF faculty provide or supervise the clinical care at Zuckerberg San Francisco General Hospital, the San Francisco V.A. Hospital for veterans, and the Mt. Zion Hospital. UCSF medical students, nursing students, and interns and residents have long rotated through SFCCC's SOS Program and several of our partner health centers, providing needed clinical services and an opportunity for Health Center doctors and nurse practitioners to teach trainees, a popular benefit. UCSF has operated a number of community-based programs which have been utilized by patients of our member health centers, conducts clinical and public health research which benefits our patients, and provides clinical services at its various locations which are utilized by many health center patients, some under contract with ZSFG for services not provided at ZSFG. San Francisco Cancer Initiative is a collaborative effort affiliated with the UCSF School of Medicine with a mission of reducing the burden of cancer in the City and County of San Francisco. SF CAN has been collaborating with SFCCC for the past year around the goals of increasing screening rates for colorectal cancer among SFCCC clinic populations, primarily through stool testing, and ultimately lowering the disease burden of colorectal cancer in those populations, primarily through increasing the rates at which patients with a positive screening test go on to get a colonoscopy, a procedure which examines the colon and can remove polyps which will eventually become cancerous. Colorectal cancer screening rates are one of five priority Quality Improvement metrics for SFCCC health centers. SF CAN is in the process (summer 2018) of funding SFCCC and 7 member clinic sites to implement improvement projects to increase colorectal cancer screening rates and colonoscopy rates for those with positive screening tests. 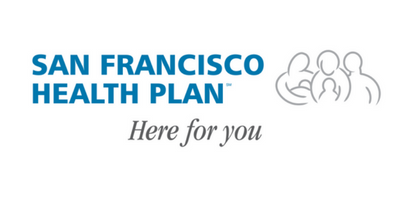 SFCCC and its member health centers partner with San Francisco Health Plan, a licensed community health plan that provides affordable health care coverage to over 145,000 low and moderate-income residents. SFHP was created by the City and County of San Francisco to provide high quality medical care to the largest number of low-income San Francisco residents possible, while supporting San Francisco’s public and community-minded doctors, clinics, and hospitals. Currently, SFCCC member health centers are involved in implementing the Health Homes Initiative and SFCCC is working with SFHP to enhance our follow up with patients who had an emergency room visit. San Francisco Community Clinic Consortium is a proud recipient of multi-year grants from the California Endowment, whose mission is to expand access to affordable, quality health care for underserved individuals and communities and to promote fundamental improvements in the health status of all Californians. 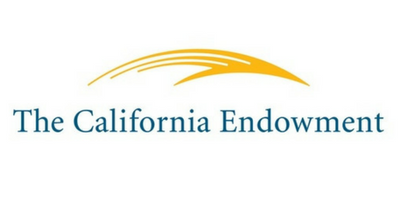 Our California Endowment grants have allowed us to be part of successful campaigns to implement the Affordable Care Act in California, expand Medi-Cal to all California children regardless of immigration status, and increase health care coverage for the remaining uninsured.